Is there anyone who will say no to a vacation? Well probably not. Changing lifestyles, urban pressures and increase in earning power has meant that Indians holiday a lot. And not just holiday, most of them holiday in style. This is probably why vacation wear has become an in thing today. We explore what is driving this trend. Millennials value experiences more than anything and travel is their go-to trove for unearthing new experiences. 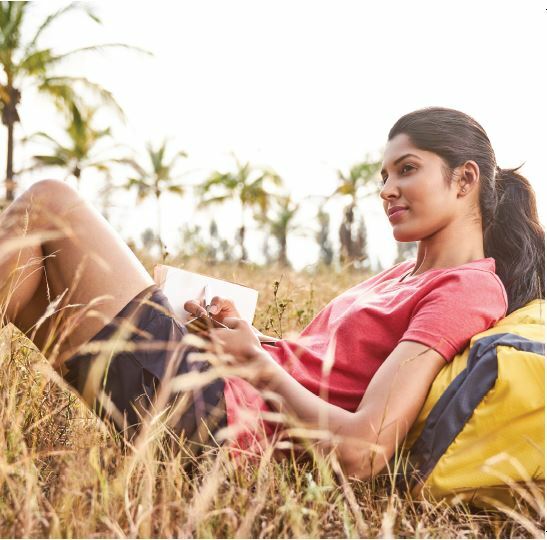 In the past few years, travelling has become an ‘It’ thing to do and Indians have jumped on this bandwagon too. From family trips, backpacking to solo travelling, they’re doing it all. “But everyday clothing doesn’t cater to all the needs of a traveler and that’s when travel clothing comes into play. 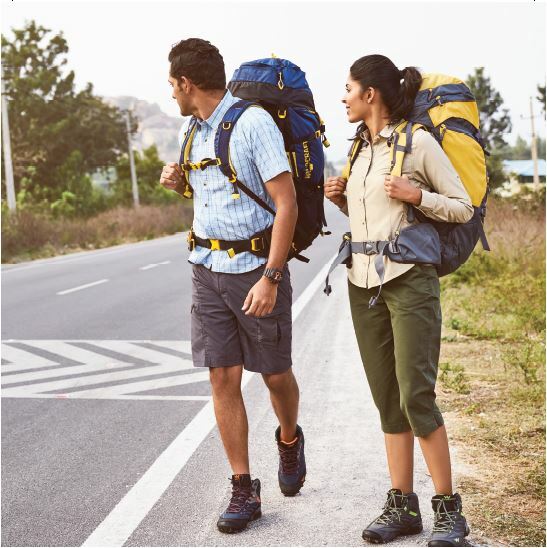 Travel clothing incorporates three utterly important features of ‘less weight’ ‘comfort’ and ‘multi-utility’ which aid in trouble-free travel in urban landscapes and outdoors. This is why it is a hit with the holidayers. 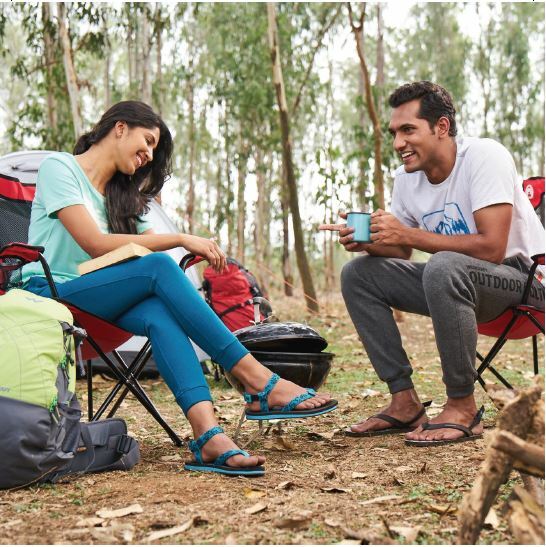 Its alignment with the global fashion trends further fuels its popularity amongst the millennials,” says Prasenjit Kundu, Design Lead, Wildcraft. Wildcraft’s clothing line is in sync with the needs of the new-age traveler. It includes the key features of lightness, multi-utility and comfort as mentioned earlier. Also, Wildcraft makes its apparel collection based on the ‘concept of layering’. 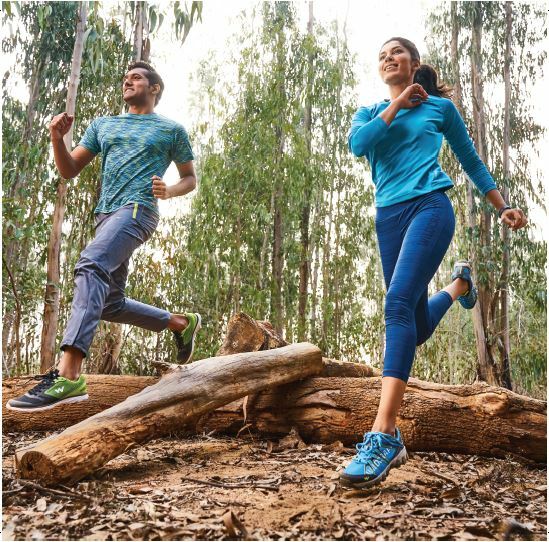 The base layer (helps in moisture management), insulation layer (keeps the body warm) and shell layer (protects from wind and water) can be mixed and matched to suit various weather conditions and user needs. Each layer is integrated with certain technologies to ensure that comfort is not compromised. For example the base layer which primarily constitutes of T-shirts and shirts, is engineered with Hypacool technology that wicks away moisture and protects from UV rays. This layer is great for someone who’s heading to the beach or a humid place, and can also be clubbed comfortably with an insulation layer (sweatshirt) or shell layer (jackets) in colder locations. Similarly, their convertible pants can be worn as shorts on the beach and cool trousers anywhere else. The global market for Swimwear and Beachwear is projected to reach 2.2 billion units valued at US$22.7 billion by 2022, with the increasing affinity for active and healthy lifestyle activities like swimming, and the strong preference for beachside vacations. “Adding to the growth in the market is the launch of multifunctional cover-up swimwear and beachwear designed that can be worn as semi-casual wear for pool parties and day to day activities such as shopping centers, resorts, and restaurants. A world of opportunities awaits designers and manufacturers in developing markets as Asia- Pacific ranks as the fastest growing market with the rise in low cost idyllic beach tourism in tropical Asian countries and the ensuing rise in the number of tourists on shoestring budgets,” opines Thasneem Masood, Co-Founder and Creative Head, Rossbelle. Tanya Eldred-Bhat, Fashion Consultant at The Open Trunk adds, “with social media becoming such an integral part of our lives, we’re constantly bombarded with beautiful images of people perfectly dressed while on vacation. 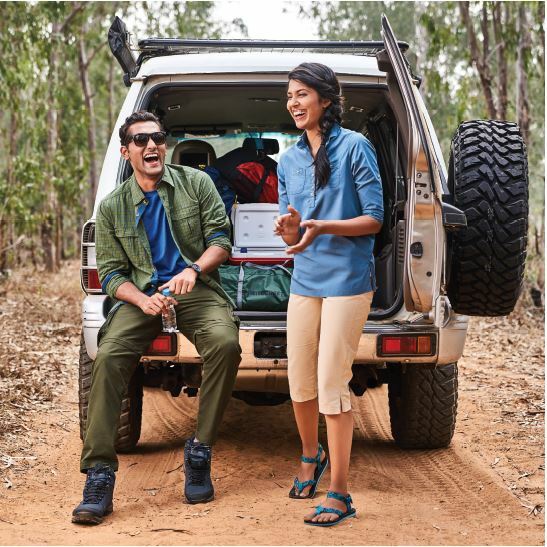 Also, fashion has gotten clearly segmented into categories, people’s awareness is very high of what defines work wear, what can be a casual wear and what should be a holiday wear.” Chumbak has recently launched its AW ’17 collection, Wild & Free. These designs have lavishly been used across clothing that can also be worn for travel – sculpted printed leggings, casual tees and tops, flowy skirts, and fun, structured dresses. “Material exploration for comfort has also been explored through this collection. The collection comprises of cotton, viscose, modal, and other lighter materials to enable an effortless wear. Our customers are connected on digital and social networks all the time. We’ve created this collection keeping in mind different looks for different types of vacations, whether at the beach or hiking or in cities. Chumbak ensembles have been created make our customers look even better in their vacation pictures,” avers Shubhra Chadda, Co-founder, Chumbak. The best part of vacations is you are carefree and relaxed. “We try to capture the same element in our designs too at “Only For You”. We amalgamate a touch of couture to comfort making the outfit trendy and stylish. Just like the name suggests, vacation clothing is what one can indulge in while basking in the sun on the islands of Phuket or rendezvousing with friends on a yacht party. Bid adieu to shorts, t-shirts, and flip-flops to embrace the stylish trend of resort wear and stay fashionable even while one is merry making. The feel, look, and the attitude of the resort wear is lazy, fun, and relaxing, just what one would want while unwinding. The fabrics are free of all the fuss and stay wrinkle-free,” explain Designers Djey and Megha, Co-owners, Only For You. Vacation wear is all about comfort and relaxed silhouettes. Fusion look is in where long shrugs and flowy tops are being combined with shredded denims. Apart from comfort and function, style and global trends play a major role in the creation of travel wear. “The fashion-savvy world of today demands as much style from their travel clothing as their regular casuals, after all they need to look good in the pictures. So, color stories, silhouettes etc. for travel wear take a leaf from the trend forecasts of the season. 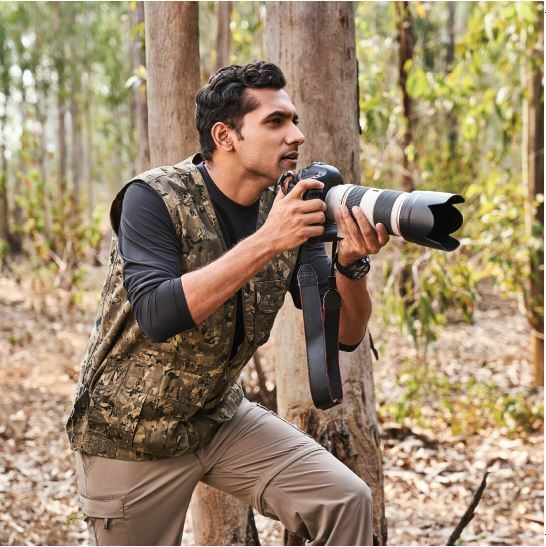 Currently, light quilted jackets, nylon performance shirts, lightweight convertible pants, puffer jackets, performance softshell jackets and oversized sweatshirts are extremely popular amongst the travel crowd,” says Kundu. Marketing a category of clothing especially meant for travel is definitely a challenging task. “Our products are infused with a various technologies and features that enable comfortable travel but there’s a gap to be filled in terms of their understanding and awareness in the audience. We are trying our best to make people explore, experience and appreciate these technology-equipped products. The future looks promising as the new generation is tech-equipped and ever-ready to try new things,” says Kundu. However another aspect of this is the market being targeted. “It really depends who are you marketing to. If you are marketing to a tier-2 consumer segment then yes, it is challenging and might not be profitable but the urban consumer connect really well with the concept and it is extremely interactive and fun to market to this segment,” opines Kabra. Travel wear is all the rage now, even fashion publications cover airport and travel looks. And as we move towards the future, this craze will only heighten. 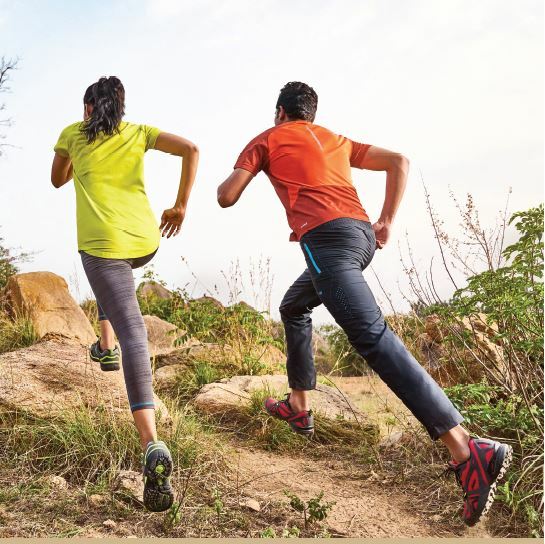 Performance fabrics and garment engineering will soon rule the roost. So are you ready to pack your travel gear?